What’s an outdoorsy girl to do on a sunny summer day in a new city? Take to the water, of course! 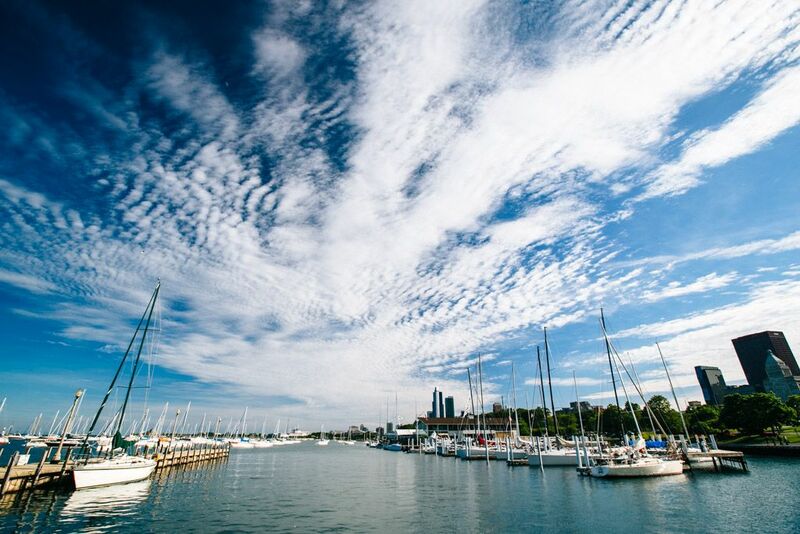 The Chicago waterfront is both scenic and accessible, offering myriad activities and attractions on the water. 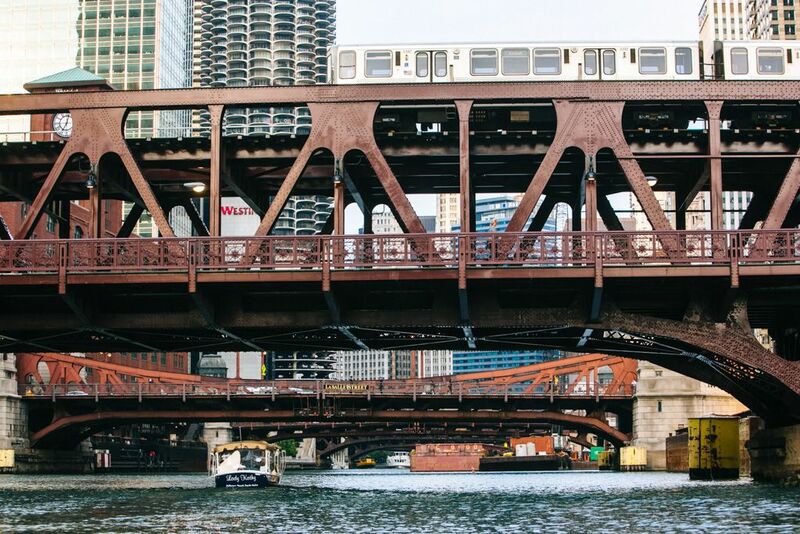 My trip was MADE by the 3 B’s: bikes, beaches, and boats – aka the best things to do on the Chicago waterfront, according to Lindsay. In the past year, I’ve rented bikes while visiting Montreal, Washington DC, and San Francisco – so how could I not take to the pedals on my recent trip to Chicago? I hired a Divvy Bike one day and immediately hit the waterfront. My first thought? Lake Michigan is absolutely ENORMOUS. 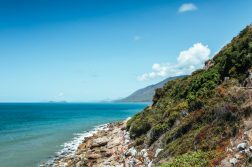 With water as far as the eyes can see, it might as well have been an ocean in my mind. My second thought? 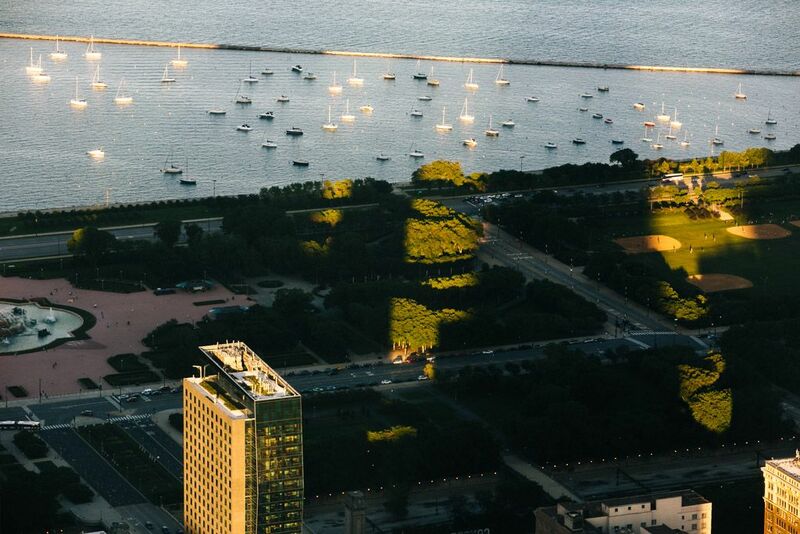 Man, biking around the waterfront is THE PERFECT late afternoon summer activity in Chicago. 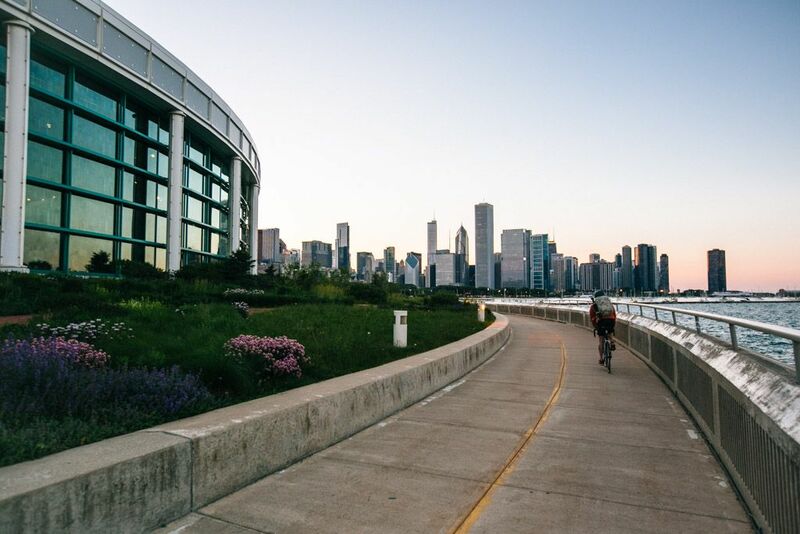 The Lakefront Trail winds for 18.5 miles through parks, beaches, tennis courts, picnic areas, and museums. Views of the water alternate with jaunts through the trees, the late day sun toasting your skin on one side. Absolutely glorious! 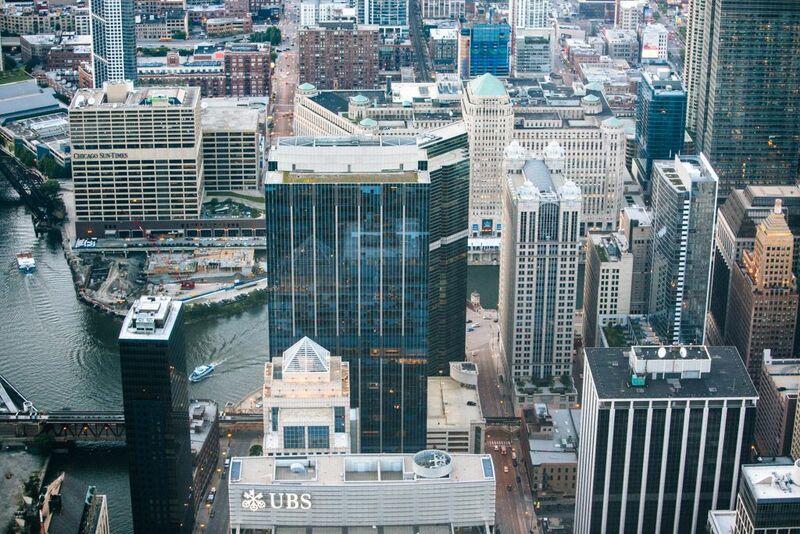 To Divvy or Not to Divvy? With the temptation to make constant stops, I found the 30-minute ride limit of the Divvy Bike to be too short. 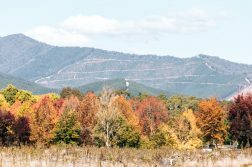 There are plenty of stations along the way to swap out your bike and reset your 30 minutes, but you likely wouldn’t notice them unless you consulted a map because many are off the trail. I was constantly checking the time to see how close I was to the 30 minutes being up and was late at least once – definitely not ideal when embarking on a long, carefree ride. 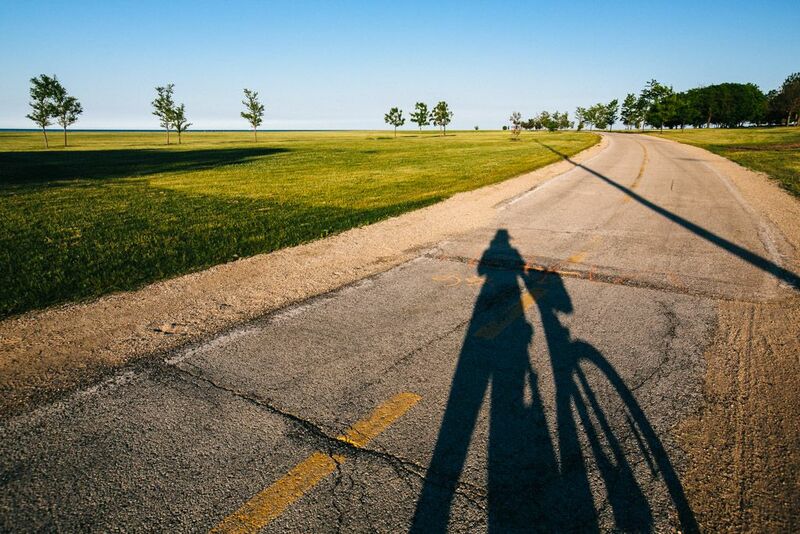 If I were to bike Chicago’s Lakefront Trail again, I’d look into renting a bike by the hour or day instead. However, for shorter trips around the city – Divvy is clutch! 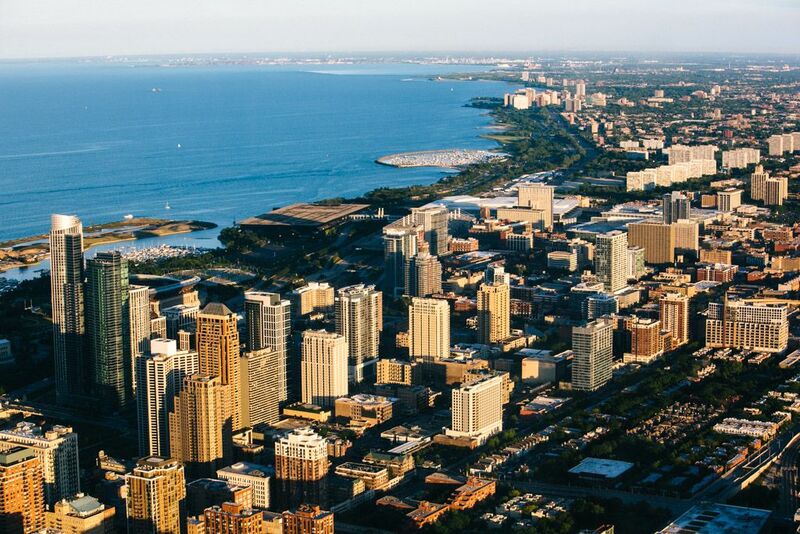 For a city so notorious for its cold winter and, well, windy tendencies, you likely wouldn’t equate Chicago with beaches. 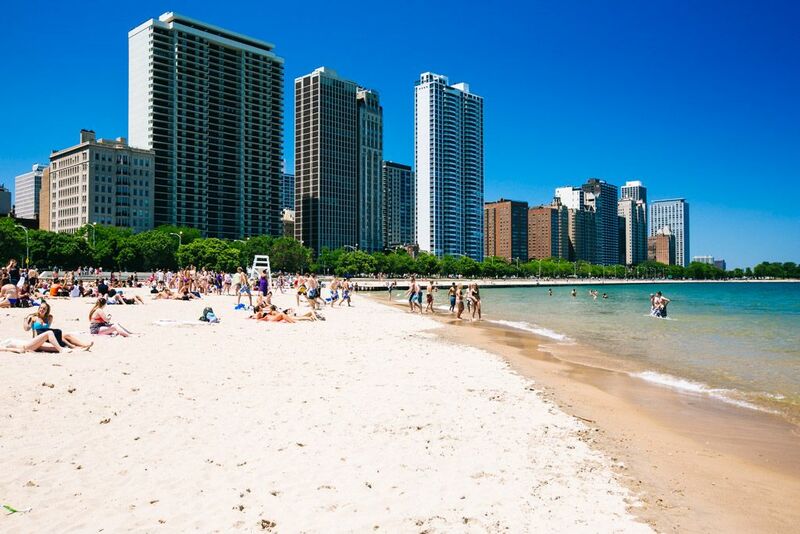 But come June, Chicagoans flock to the lakefront for some quality time in the sand and sun. 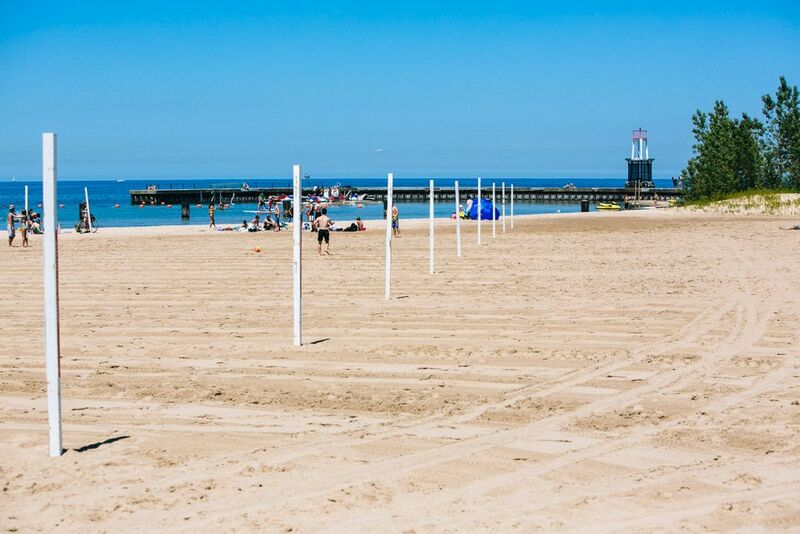 At some beaches on the Chicago waterfront you can even play volleyball or rent boats. I thought the coolest thing was being able to walk up the landmark-studded Magnificent Mile and end up right on Oak Street Beach. It’s literally city skyline meets sand, something you don’t see too often. 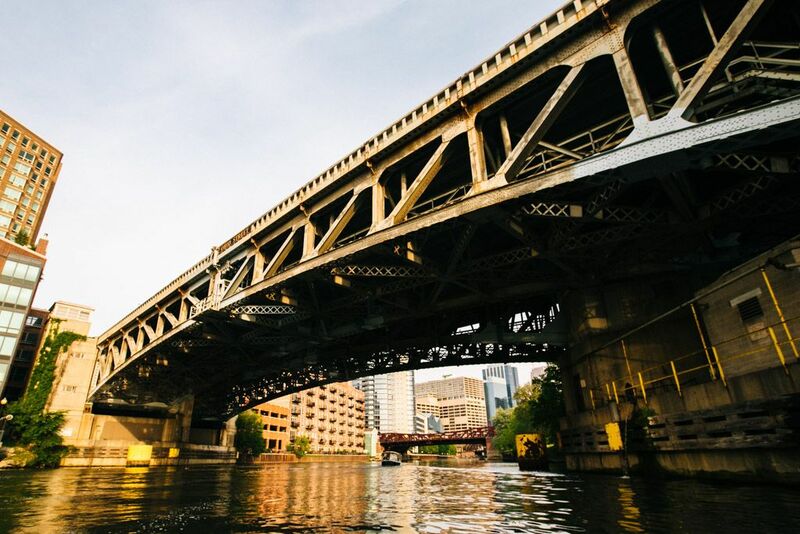 BlogHouse hooked me and my fellow bloggers up with a ride up the Chicago River with Chicago Electric Boat Company and it was easily one of, if not THE highlight of our time in the city. 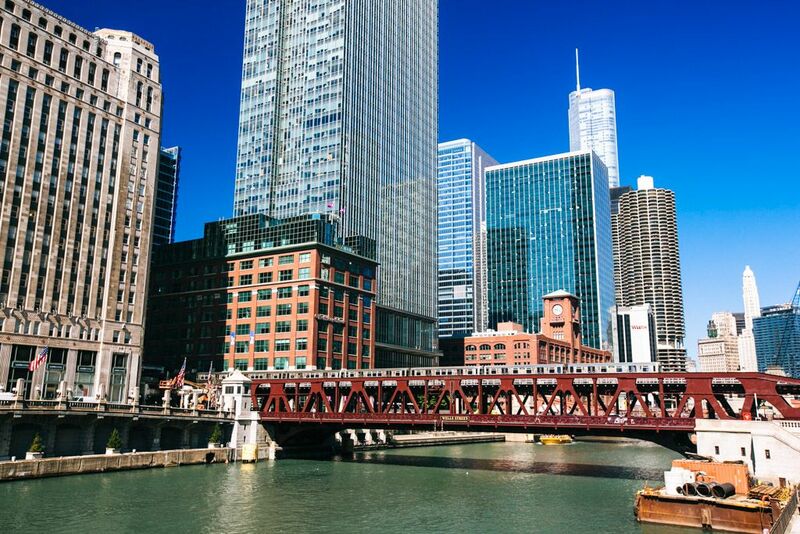 Captaining our own boats, we explored the Chicago River at a leisurely pace – taking in the glowing buildings up close and passing by bridge after bridge. And you KNOW how I feel about bridges! 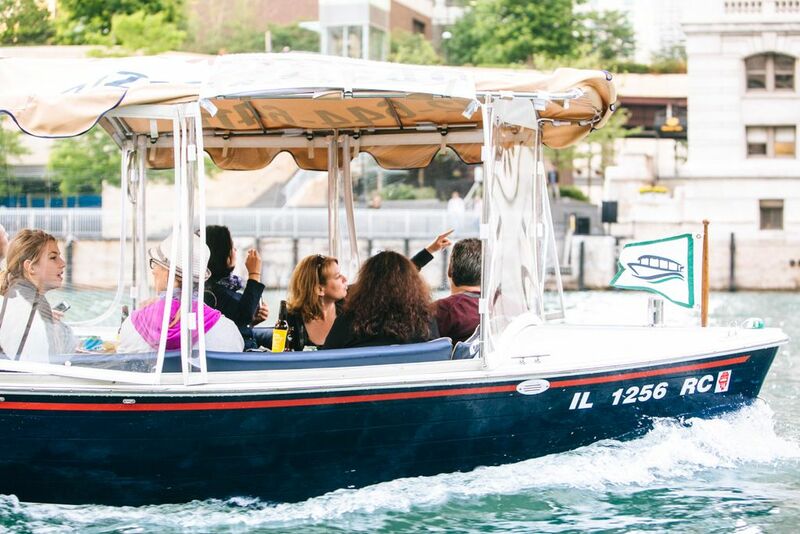 Chicago E-Boats is great for groups that want to charter their own boat and have the freedom to roam around wherever they please, but for smaller parties and those who want to learn a bit about the buildings they’re passing by, one of Chicago’s famed architecture boat tours might be a better option. 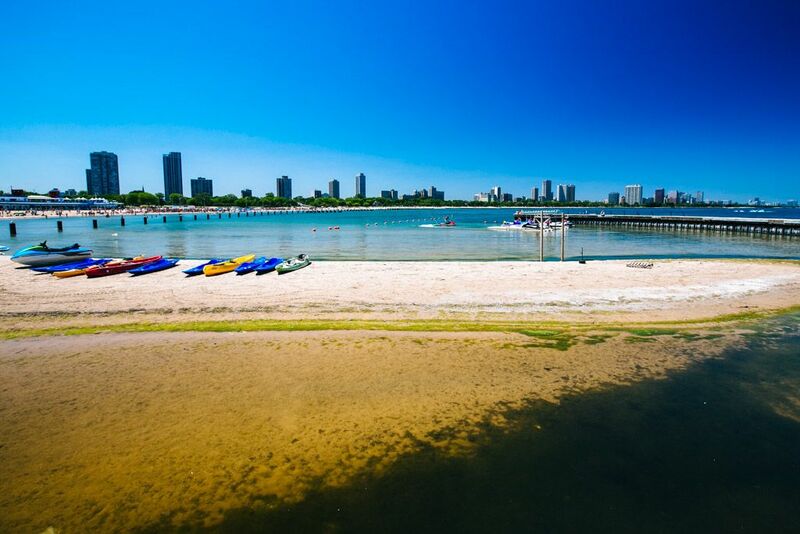 Which would you rather do on the Chicago waterfront: bike, beach, or boat?